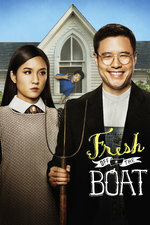 So many of the sitcoms premiering this season have been duds, I just wanted to put up a post to celebrate Fresh Off The Boat making it to season 5, and still going strong. Thank you for this! I missed that it's back and am very excited for this next season.